CHICAGO, IL – While it is said that art imitates life, parents and teachers at Goethe Elementary School in Logan Square hope it also inspires learning. 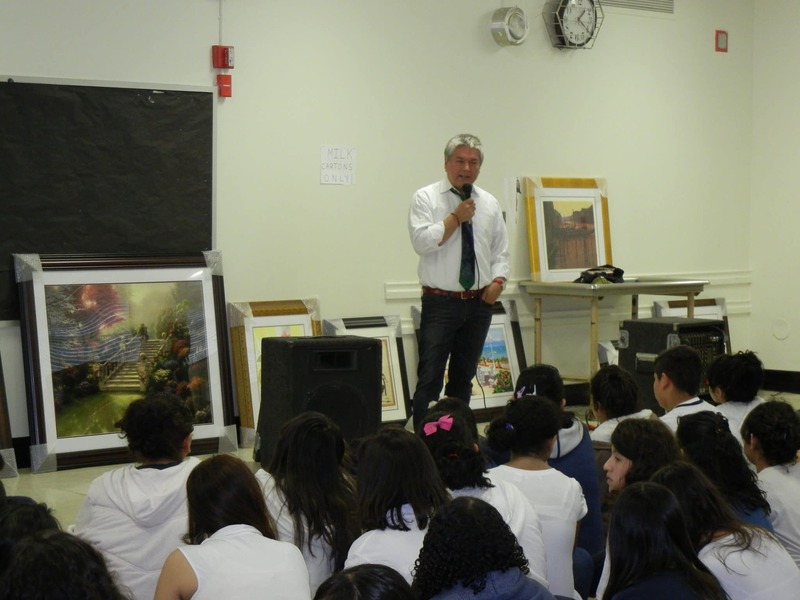 The school is the recipient of 20 works with an approximate retail value of $20,000, donated by Park West Gallery, which was on display when artist Dominic Pangborn visited students on Monday, April 11, 2011. Park West Gallery artist Dominic Pangborn speaks to students at Goethe Elementary. Korean-born Pangborn immigrated to the United States as a child, where he developed his mostly self-taught artistic skills. The successful working artist and businessman shared his inspirational story with sixth, seventh and eighth grade students during his visit to the school. The donation and artist talk are the result of a partnership between neighborhood group Friends of Goethe School (FOGS) and Park West CARES, Park West Gallery’s national outreach initiative. Launched in July 2010, the program provides art work donations to community organizations across the United States. Beyond Monday, Goethe and FOGS hope that the donation spurs other partnerships with creative individuals and groups. 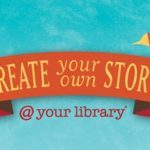 FOGS is developing children’s programming for the Milwaukee Avenue Arts Festival and is working with artists to take part in beautification projects on the campus during its annual block party, both happening in late July. The group also featured local comedians and musicians at its recent fundraiser, which brought in more than $6,000 to help spruce up the school’s playground and outdoor field. How lucky can this school and these students get! What an honor for students to have access to such an amazing artist as Dominic Pangborn. Also, thanks to PWG for encouraging art in local schools. My wife is a Middle School Principal in Los Angeles and was jealous. With all the budget cuts she is very nervous her art program will fall to the budget ax. She would love to have a program like this in her school.